the act! was just finished, but synapscape still wants more. seven new tracks where tim kniep and philipp münch keep the beat straight, the vocals distorted, and the pace fast; however, they let the dancers catch their breath with 'karambolage' and 'situation eight'. so what are you doing with whitenoise, baby? go enjoy it! after three years, several compilation appearances and re-releases of older material on cd-r there is a new sign of life from asche. more distortion, more beats, more disturbing voices, more vocals and more names: this morn' omina collaborated with andreas schramm on 'petunia', which was re-edited by moctan on 'falling to the ground'. 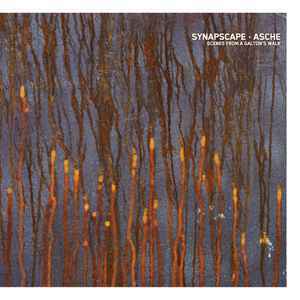 rhythmic rage meets droning darkness - asche, make my day! Synapscape tracks recorded at Synaptic One, 2005. Asche tracks recorded in The Deep Blue Sea, 2005.